It’s the beginning of a new year. A time when we make resolutions to improve ourselves and live a happier life. Business owners should not ignore this tradition. And, if there’s an area that has never been more important to focus on than now, it’s to improve online reputation. So in the spirit of making resolutions for the New Year, we produced the following blog post – but with a twist. We’ve taken inspiration from popular personal resolutions to create our list, and then put a spin on each so they relate to improving online reputation. Here are 10 “personal-inspired” resolutions for business to improve online reputation. Enjoy! The holy grail of New Year’s resolutions and one that annually ranks the most popular for most people. How can businesses “lose weight” with respect to their online reputation? Business owners should resolve to cut out the burden of trying to monitor online reviews on your own. Not only is this time consuming and expensive, but it’s also virtually impossible for you not to miss something. Working with an online review monitoring company can lighten the load. Many people set out to read more books in order to increase their knowledge. To this end, we encourage businesses to also pledge to read all customer comments and feedback from online reviews. Doing so will give you important insight into how you are doing from a customer experience standpoint and quickly identify areas for improvement. It’s no secret that regular exercise is key to a healthy and happy you. As far as your online reputation is concerned, a good way to develop a fit online reputation is by resolving to increase your reps in asking customers to leave a review. In this case, slow and steady wins the race. 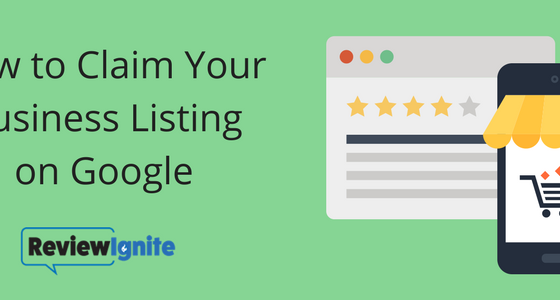 Over time you will generate more reviews that can boost SEO and raise your average star rating. Online reviews are an opportunity to engage with the customer. Take this chance talk to them. If you get a negative review, do not get angry. Instead, reach out to the customer, find out their concern and turn a negative into a positive. This year, pledge to respond to ALL online reviews. It’s never too late to learn something new. And, businesses can benefit a lot from learning about how online reviews affect their bottom line. For example, did you know that 85% of consumers trust online reviews as much as personal recommendations? Learn more about this and other impactful statistics here. A great personal resolution and standard practice for businesses of all types. Don’t waste time and money using your employees to manually monitor online reviews and social media. Invest in an online reputation management system. Savvy business owners know this strategy can produce handsome returns. In today’s technology driven environment, it’s easy to let social media manage relationships with friends and family. As business owners, we should strive to meet face-to-face more with our customers in 2018. Your customers are your lifeblood. Don’t take them or what they say about you for granted. Businesses should resolve to fix any problems or concerns your customers may have and post these results on social media. Doing this will help you strengthen relations with your customers and attract new ones. Another key to better living is proper nutrition. It’s critical for a healthy body and mind. 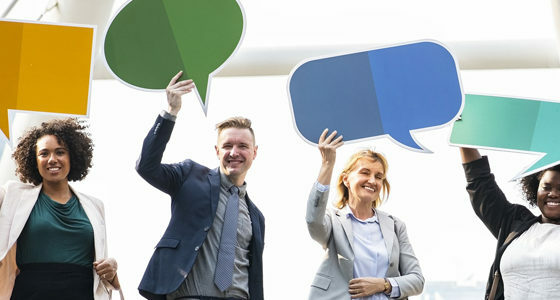 For a healthier online reputation, feed it by training your employees on the importance of delivering exceptional customer experiences every time. This is critical for businesses to improve online reputation. Many people today are sleep deprived. So it’s no wonder getting more sleep has become a popular New Year’s resolution. How can business owners benefit from this resolution? By letting an online reputation management system do the work for you. A good solution will continuously scan the web and protect your reputation 24/7, letting you rest easy at night. In 2018, make a resolution to improve your online reputation. Regularly monitoring your online reviews and social mentions on sites like Google, Facebook, Yelp and Bing can help you improve the customer experience and grow your business. Need help? 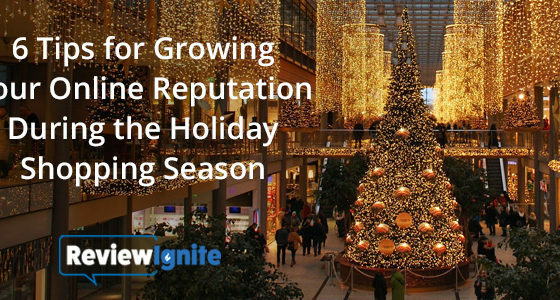 ReviewIgnite has a powerful dashboard system that allows businesses leverage their online reviews to improve their reputation and grow sales. Contact us for a free demo! From all of us at ReviewIgnite, we wish you a happy and prosperous New Year!